Description: This new Ruger 10/22 rifle fires the .22lr round. 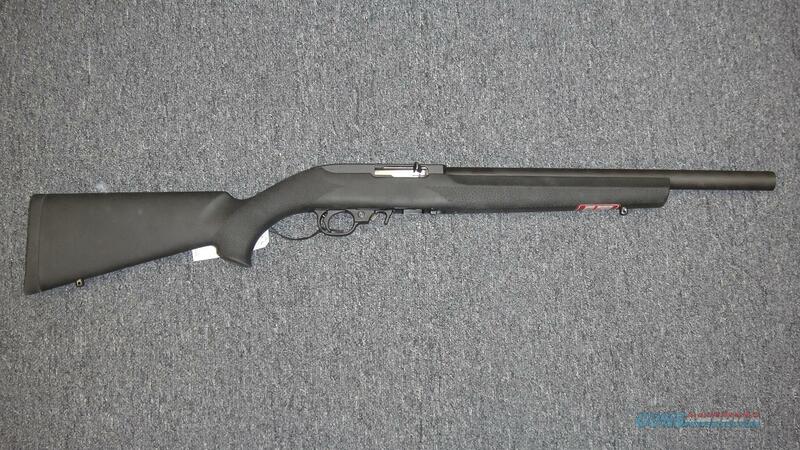 It has a 16" heavy barrel with a black finish, and a Hogue overmold stock. This semi-auto rifle has been drilled & tapped for scope base. It comes with an optics rail, bi-pod, box, manual, lock, and one 10 round magazine.